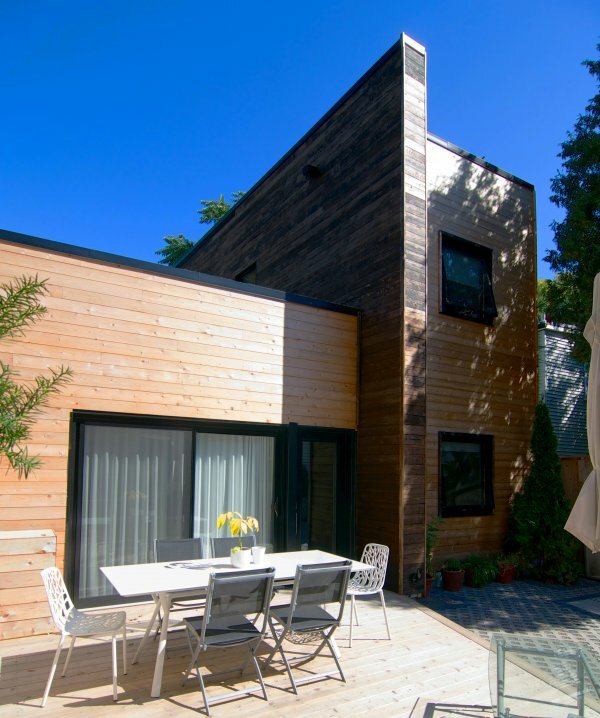 Craig Race and Sustainable.TO recently transformed an unremarkable converted garage into a compelling thoughtful laneway house in Toronto’s central east end. The transformation of this once-ordinary space on a Jones Avenue lane looks a bit like one of Mondrian’s paintings, showcasing the power of simplicity and the strength of pure shapes. The beauty of the rectangular form clad in natural wood dominates the facade. 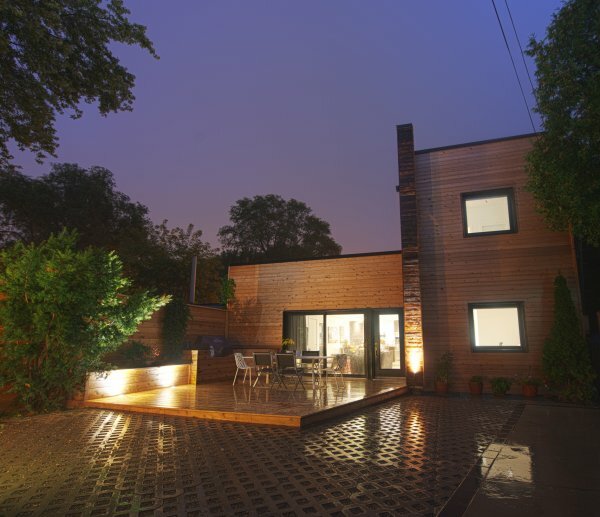 Sustainable.TO makes it their practice to "select durable natural exterior cladding materials and treatments that can withstand the elements and extend the building’s lifespan, at which point they can be returned to the biosphere with positive, rather than adverse, effect". 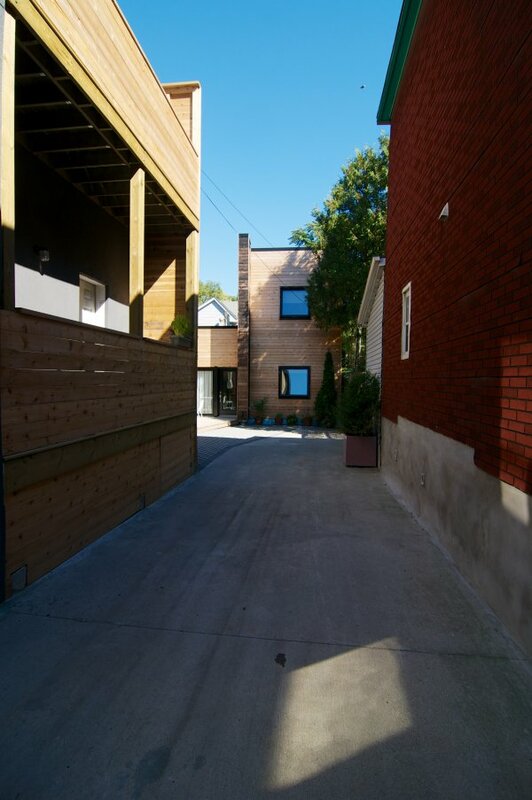 While laneway housing is being embraced on the west coast of Canada in Vancouver - where property owners can legally create accessory units on their rear lanes - at the moment only pre-existing residential buildings located on lanes can be upgraded in Toronto. In the photos above, the design approach showcases its connection to the outdoors, with the help of expansive floor-to-ceiling windows and doors which connect to a terrace. On the interior, cedar boards cladding a feature-wall have been charred using a Japanese method known as shou-sugi-ban. 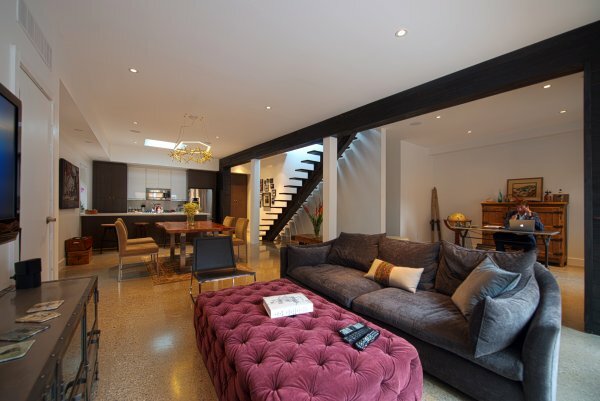 A new concrete floor with a radiant heating system was poured, Even when not in use, sunlight entering the home’s big windows warms the polished floor. These are just two techniques which Sustainable.TO embrace in their green building practices. All Photographs are reproduced courtesy of Sustainable.TO. While respecting the integrity of the urban fabric, Sustainable.TO have incorporated green building technologies and approaches which are enhancing our collective quality of life. See more of their exceptional work at Sustainable.TO.